Apple has today launched another convenient way to track news and new apps from its App Store via its new Twitter account @AppStore , which is already listing around 48,243 followers as I write this. The new @AppStore Twitter account will feature new apps in Apple’s iOS and Mac App Stores and provide exclusive offers for Twitter users and followers and has already provided a quick promo and link to Nike’s Training Club app. 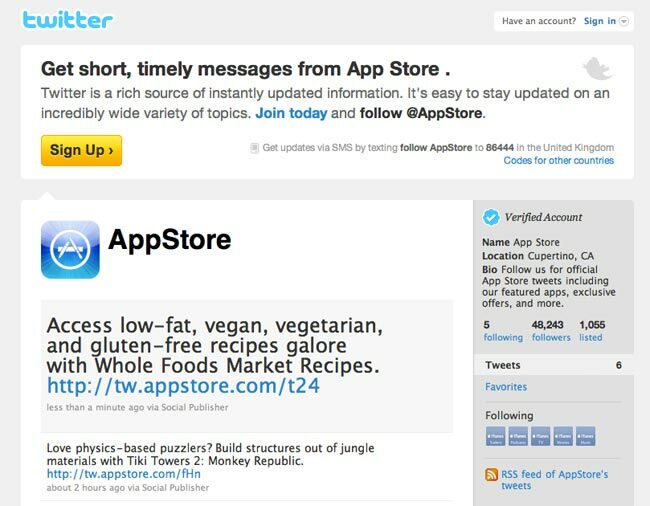 The @AppStore account has been officially verified by Twitter and the first post, “Welcome to App Store on Twitter! Follow us to discover new apps, get exclusive offers, and share with friends. #appstore” was retweeted by Apple’s verified @iTunesTVaccount. Apple is well know for not engaging in social media and doesn’t have an official Facebook or Twitter account for its main brand. An expect the new Twitter account to be more commercial than social.